As with most of my projects, about 80% of the work is in the planning. Well I’ve spent more than enough time visualizing and planning out my nursery theme. And with just a few weeks left to bring it all together, I’ve launched into full blown execution mode. Here’s a quick reminder of what “The Before” room looked like before I got my hands on it: https://livelovecraft.org/category/operation-nursery/. It needs a lot of work from this point to be transformed into the baby room that truly captures my vision… SO here’s The Plan! 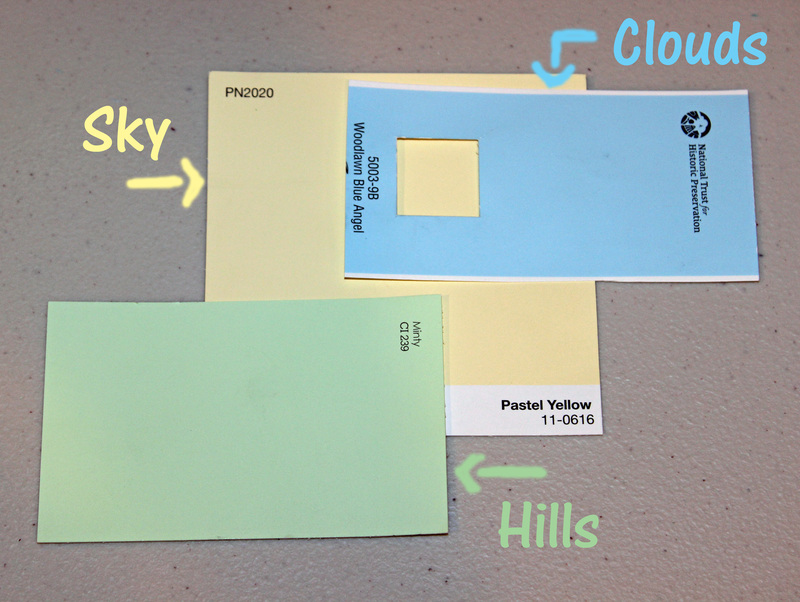 I plan on painting a sky with rolling hills on each wall. In the sky I will incorporate clouds, hot air balloons and other whimsical elements. I cut out some paper shapes here just to play with placement. Soft, calming colors will set the tone. 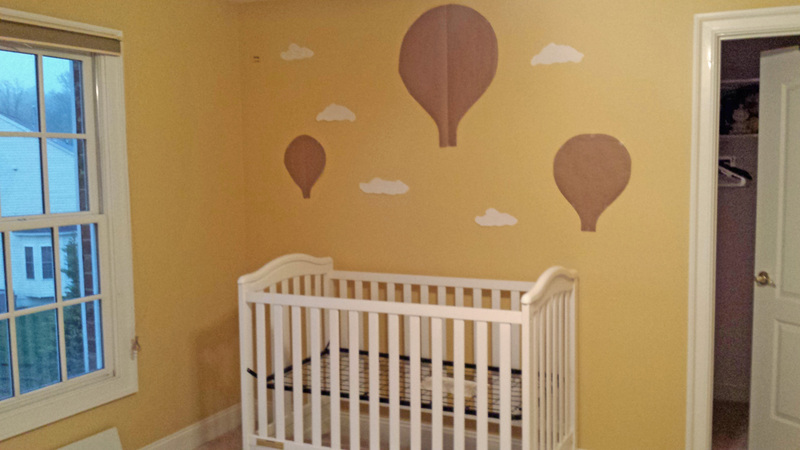 I chose a pastel yellow sky instead of a blue one to help neutralize the space (instead of screaming “It’s a BOY!”). 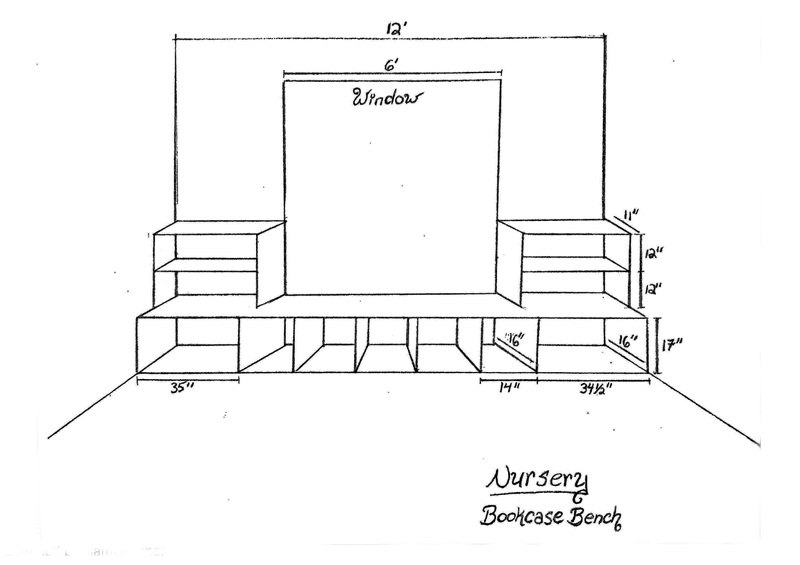 I want the room to have plenty of space for books, toys and storage, so I’m enlisting my husband to build this built-in bookcase bench that I designed. I’m really excited about this piece. If he can pull it off, it will add a huge custom element to the room, plenty of usable space, and a nice little reading nook right in front of the window! I searched high and low for just the right fabrics to accent and compliment the room. I’ll be using them to make a window valence, as well as a seat cushion and decorative pillows for the bookcase bench. I’m going to have a lot of fun mismatching different design combinations from these patterns! Here are some of my composition ideas for the decorative pillow designs using the textiles from above. 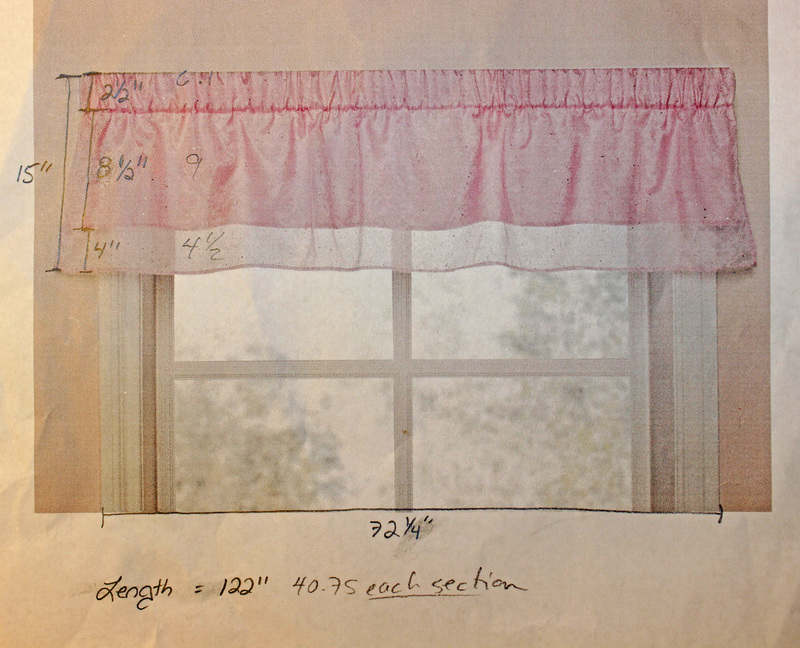 I want to make enough of them to line the bookcase bench with across the entire length of the window sill. The window will need to be dressed with something pretty, so I’ve settled on this design for the valence, (using my colors of course!). I like everything about this style, from the shape of the rod to the simplicity of its form. So there you have it. The plans have been drawn! And of course, as my husband likes to point out, my projects can never just be simple. But what can I say… I’m up for the challenge. And I’m super excited to see how it will all come together!